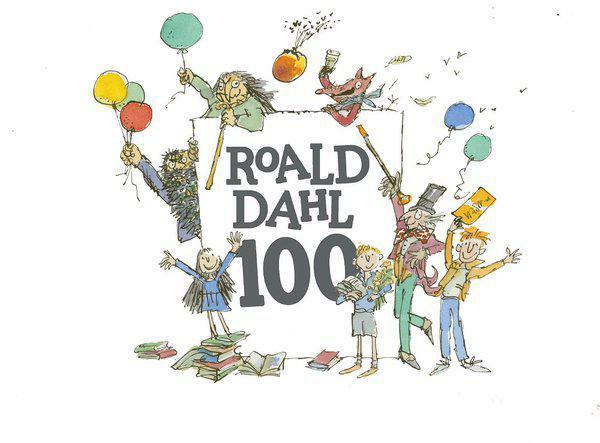 To celebrate 100 years of Roald Dahl we had a special centenary week starting on Monday 26th September. 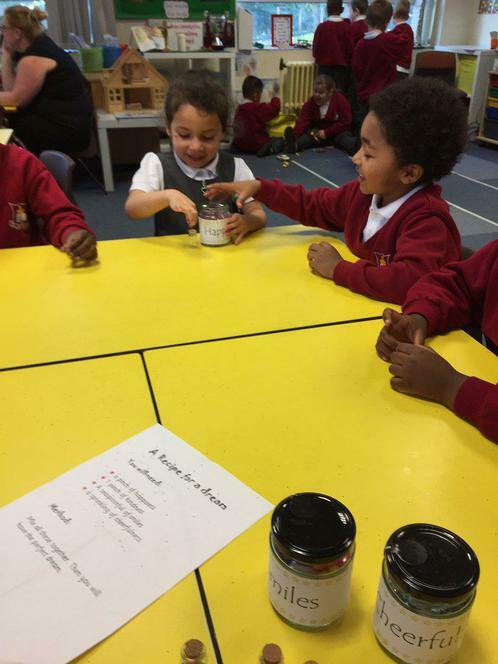 Each class studied a different Roald Dahl book and took part in many exciting lessons all linked to their book. 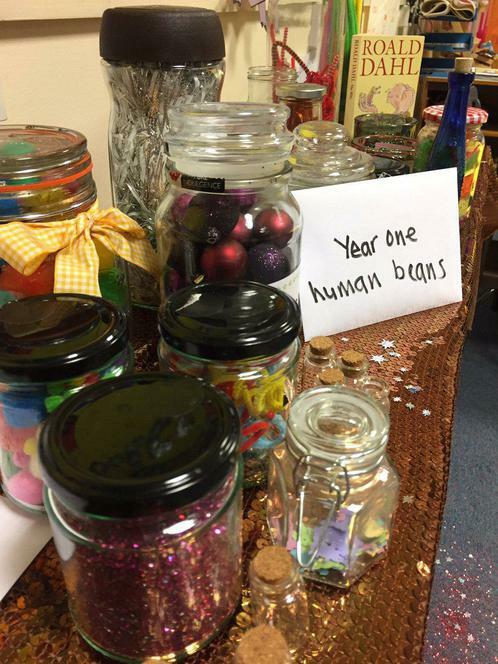 Year One’s classroom was visited by the BFG and the children were so excited to read the notes that the giant left for them and to look after his ‘dream jars’. 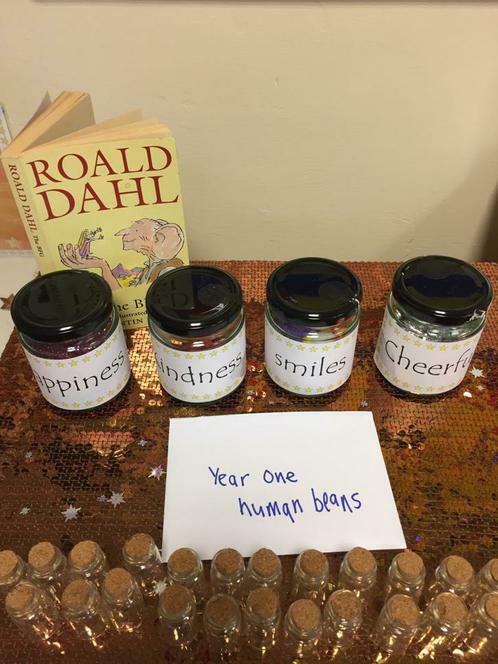 They were measuring the giant’s footprints, creating dream catchers and making dream jars of their own, filling them with happy thoughts in addition to holding a BFG themed party! 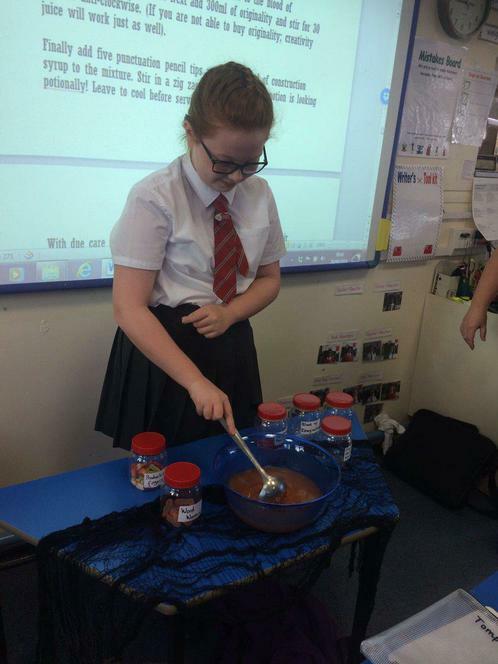 Other activities across the school have included making up tricks to play on Mr or Mrs Twit, investigating some crime scenes from ‘Revolting Rhymes’, learning songs from Matilda the Musical, designing chocolate bars for Willy Wonka, writing and making magic potions and Y5/6 visited Central Library for some Roald Dahl workshops. On Friday we had a fabulous ‘Dahl Dress-Up Day’ with some brilliant costumes and characters on parade. Thank you to all the staff for planning such great lessons and activities bringing Roald Dahl’s books and characters to life. Check out lots of photos on Twitter and also the Coventry Telegraph have been in touch and will be doing a piece all about our special week soon.